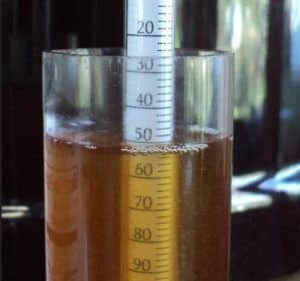 This quick guide will teach you how to use a hydrometer, how to read it correctly, and what all of the fancy terms mean. Don’t worry, it’s easy…kind of. Welcome to our version of chemistry class for beer enthusiasts (that’s what we call people with our condition). 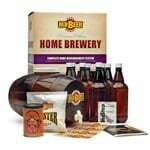 If you’re anything like us, you tried to brew your first batch of beer at home and it hit you: “I slept through high school chemistry class”. You’re not alone—even the most seasoned brewers take readings wrong or need a bit of a refresher. Using a hydrometer is actually pretty easy. It’s knowing how to read a hydrometer right that’s a bit tough. And believe us, you HAVE TO READ IT RIGHT or you won’t get the desired result. 1 What is a Hydrometer? 2 What Does a Hydrometer Measure? If you asked your chemistry teacher this question, they’d tell you it’s a device that measures a liquid’s density in relation to water. 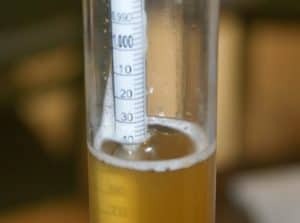 In terms of brewing beer, a hydrometer measures the amount of dissolved sugar in the beer recipe. Basically, it’s measuring how well the yeast is turning sugar by volume. 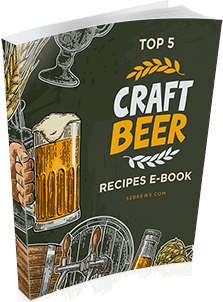 Taking readings will let you know how well the fermentation process is coming along. Fermentation is a very delicate process with plenty of things that can go wrong. Sometimes it’s necessary to take your beer to the doctor’s office and “take its temperature” to make sure everything is OK. 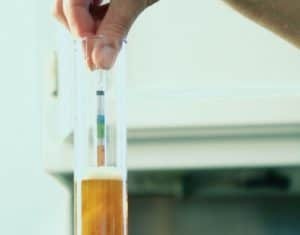 The Beer’s Specific Gravity: This is your beer’s density relative to liquid water. That’s how you check and do the testing for the progress of fermentation. As your beer ferments, the amount of sugar will decrease. If you notice the amount of sugar going down, fermentation is working. Note: Some hydrometers can be used for wine and other liquid, too. 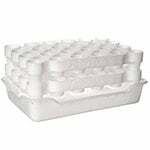 These will come with a reading called the “Brix Scale”. Let’s just stick to beer though so we don’t get a hangover from reading this article. Taking hydrometer readings are actually easier than finishing a high-ABV beer (we’ll tell you how to do that in the next section). Didn’t know your beer was about that OG life? First, you sanitize your beer thief and take a sample. 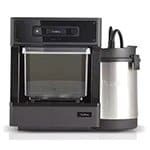 Then, place it in a sanitized test jar filled with enough water to suspend the beer hydrometer fully. Give it some time to settle and then take a reading where the beer meets the air. Note: This must be done BEFORE you pitch the wort and the reading should be taken at the meniscus (basically the curve in the surface of the liquid). Once you have your OG rating (a typical final gravity reading is between 1.035 and 1.060), you’ve got to calibrate it for temperature. This is the tricky part. 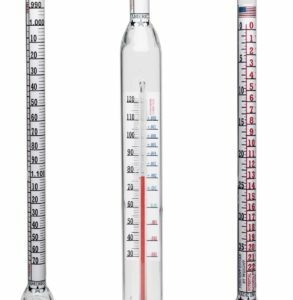 Get this, since life can never be easy, a hydrometer reading is stated at an assumed temperature of 59℉ (some go up to 70), so you’ve got to learn how to do calculations. Your hydrometer will come with a chart to help you. Take the temperature of your wort, and add the “Δ Gravity” to it as instructed on the equipment. Example: Say you’re calibrated to 59℉ and your wort is actually 72, find 72 on the chart and add the number next to it to your OG. In this case, .0016. Head hurt yet? 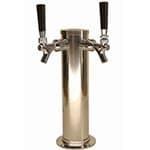 Once the fermentation process is closed to finished, check the specific gravity reading or “FG”. This is typically around the 1.005 to 1.015 range. Your beer kit will let you know if you’re in the right spot. 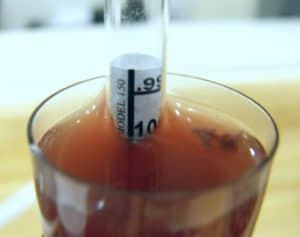 Tip: Take a reading at least once during fermentation to see if the specific gravity of a liquid is decreasing. Hydrometer testing and checkups are never a bad thing! 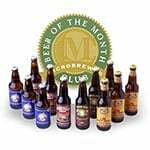 You can also watch this review by Northern Brewer on how you can use a hydrometer. You can approximate the alcohol of your beer recipes just by knowing the OG and FG. That’s the cool thing about knowing how to read a hydrometer. There are two ways to do this. Use this Formula: Take the FG from the OG and divide that by 7.362 (don’t ask why). For example, an OG of 1.060 – an FG of 1.015 = 45/7.362= ~ 6.1% ABV). 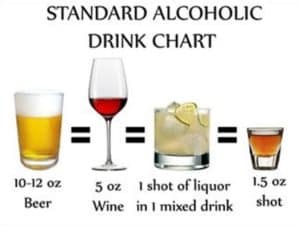 Take the Potential Alcohol Measurements: PA is the amount of alcohol there would be IF all of the sugars were fermented. This is an approximation of ABV of your liquid (since you can’t actually ferment ALL of the sugar in reality). Some alcohol hydrometers come with both readings. When taking the OG and FG, take the corresponding PA measurements down as well. Subtract the start reading from the final reading and that’s your ABV. Example: A 7% starting reading – a 2% finished reading means a 5% ABV. This means that 5% of the sugar has been turned to alcohol by volume. Knowing how to do a hydrometer test will take your brewing game to the next level. 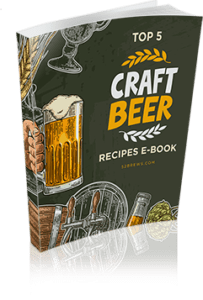 Once you know how to read a it properly, it’ll open up new worlds of brewing to you (and help you make really strong beer!) and you can also make hydrometer temperature correction when necessary. 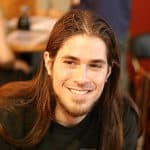 Just remember to practice safe beer making (see here) and sanitize all. Oh, and be sure to take the readings at the right time! Are you still having trouble taking readings or understanding terms? Don’t worry, this stuff is complicated. Buy a hydrometer and test it out for yourself. Let us know and we’d be happy to help you out.